Our Hearing Doctors in Rupert, ID, Answer – How Do We Hear? Hearing is an amazing ability that humans have developed to communicate with one another. Our ears are designed to hear human speech. 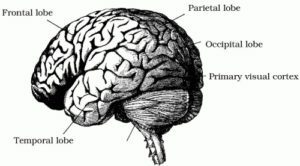 The ear is the instrument that turns acoustic signals into something our brains can interpret…we hear with our brains. 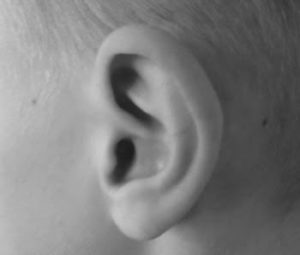 The ear is divided into three zones for ease of reference. Outer, middle, and inner ear. The shape of the outer ear, all the bumps and grooves actually add resonance to the speech range of sounds. The shape of the outer ear also helps our brain interpret the location of a sound, and to sort out background noise. The purpose of the outer ear is to collect acoustic signals (air molecules bouncing together at different frequencies) and direct them to the eardrum. The eardrum and the little bones behind it focus sound even more precisely. In the middle ear, acoustic sound pressure waves are changed into a mechanical interpretation of sound. The function of the ossicles (the scientific name for the middle ear bones), is to add greater emphasis to the speech frequencies through lever action and also in reducing surface area. Just like a woman in high heeled shoes sinks quickly in turf because her weight is directed by the heels, the change in size from the eardrum to the stapes bone adds more pressure for sounds. The middle ear space is also a closed system that wants to be equal to atmospheric pressure. 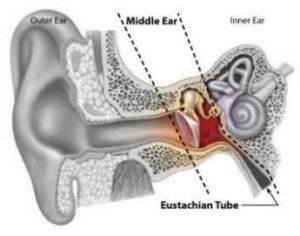 The Eustachian tube allows the pressure to be equalized, and what you open when you “pop” your ears. The inner ear is where the “magic” really happens. The mechanical force of the ossicles pushes in and out of a small membrane called the oval window which is housed inside the end organ of hearing, or cochlea. 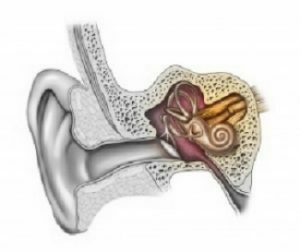 The cochlea is shaped like a snail, and it is lined with special sensory cells called hair cells. All of these special cells are bathed in a liquid, and when the stapes moves in and out of the oval window, a wave is created in the liquid. The hair cells are arranged from high tones to low tones, and as the waves move, it activates different hair cell regions depending on the frequency or pitch of the sound wave. As the hair cells are activated, nerves which are attached to each hair cell are excited, and then send a signal up the brain stem to the auditory portion of our brain. A portion of the signal from each ear goes to the same side of the head, another portion goes to the opposite side. We hear with our brain. Each part of the ear plays a part in turning an acoustic signal into something that our brain can interpret. As the signals reach our brain, it assigns meaning to each sound and does some amazing things when it comes to interpreting where a sound is coming from (localization), sorting through background noise (binaural ), and helping us match what we see with what we hear and feel. Another incredible fact about our brain is how efficient it is. If it does not receive stimulation, it will rewire itself to make the most of each nerve and each pathway. If there is a deficit in input for an extended period of time, it will take that much longer to rehabilitate our ability to hear when there is a hearing loss. It is a sad fact if you don’t use it, you can literally lose it.